I was so excited to finally be able to catch this remake of the classic Superman! What a delicious Superman they've casted this time. I prefer Cavill more than Brandon Routh. Routh looks more..rougish somehow. Cavill has a certain manly bad boy charm yet he looks very clean cut at the same time. Thumbs up. 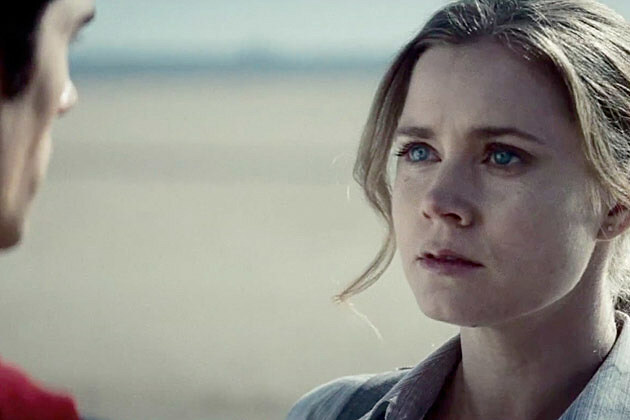 And I think Amy Adams is perfect as Lois Lane. This is exactly how I picture Lois Lane to be like. I can't believe the team actually considered Mila Kunis and Olivia Wilde cuz I don't think they're suited for the role. To me, Lois Lane is not a supremely beautiful character, rather she has a certain softness and bravado about her that makes her really stand out. Adams is perfectttttt. I like that she is not your conventional beauty, yet she exudes a certain charisma that just screams Lois Lane. Maybe you'll remember her from Enchanted too, the princess that arrived at Earth. This is one of my favourite feel-good movies that always makes me smile. I do love my Superhero movies, but the previous versions of Superman just didn't strike a chord with me. Somehow, I just didn't like it, but this one blew my mind. I loved it. I love how the plot plays out and the whole history of Superman has been revealed in a very systematic manner that's easy to understand. I love it.